Since 1998, when Google founders Larry and Sergey played with the corporate logo to indicate they were going to the Burning Man Festival in Nevada, USA, Google’s team of doodlers have been creating doodles to celebrate holidays, anniversaries, and the lives of famous writers, scientists and explorers. This year, we’ve lined up a panel of judges who are incredibly passionate about children’s art and education. Judging the initiative will be iconic painter Liam Barr and back for another round of doodlin’ fun is Voyager Maritime Museum's Karen Walters. These judges will select finalists across four age groups: Grades 1-3; Grade 4-6; Grades 7-8, and Grades 9-10, whose doodles will be shown online. We’ll ask the public to vote on their favourite doodles from each age group and the winners will receive fantastic technology prizes for themselves and their schools, including laptops, tablets and $10,000 worth of technology for the National winner’s school. A Google doodler will select the overall national winner to be shown on the homepage for millions of New Zealanders to enjoy! During June, we’re sending out information packs to every New Zealand school. To take part, please register your school by 20 July, and all doodles must be submitted by 21 August. Please visit the Doodle 4 Google website for a full listing of all the contest rules and information. We’re so excited and can’t wait to see the doodles! Posted by Leticia Lentini, Brand Marketing Manager, Google Australia and New Zealand, whose favourite doodle is the Dame Ngaio Marsh doodle from 2015. 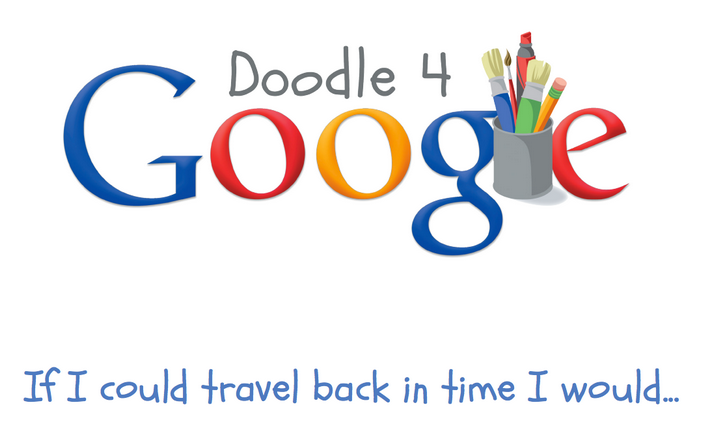 We’re inviting school students in years 1-10 to sharpen their pencils, use their imagination and reveal their artistic talent to create a Google doodle depicting their vision for “If I could travel back in time I would...” The winning doodle will be shown on the Google homepage for a day for millions of Kiwis to enjoy. From today, school students can register to take part.